Developing a routine is not only important to help you prepare for an emergency, survival, or even a SHTF situation, having a routine during those situations can save your life. 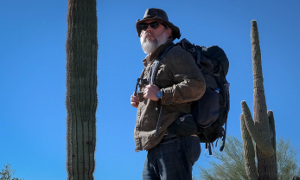 I use a weekly routine for writing Graywolf Survival and Man Cave Zen as well as scheduling things I need to learn or keep up on such as reading other great blogs about survival or practicing things at home. 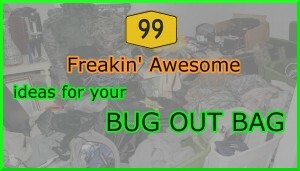 I even have schedule going through my bug out bags every month and making sure I know what’s in each and that everything still works. 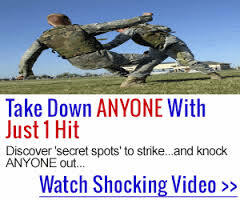 I got a lot of my routine habits from the military but it didn’t really come together until I was managing an aerospace computer factory for a corporation and they sent me to a Seven Habits of Highly Effective People training seminar for a few days. You can read pretty much exactly what we did in the book The 7 Habits of Highly Effective People: Powerful Lessons in Personal Change . That set the foundation for figuring what I want to do in life and why. It’s also extremely effective if you focus the same lessons on survival. 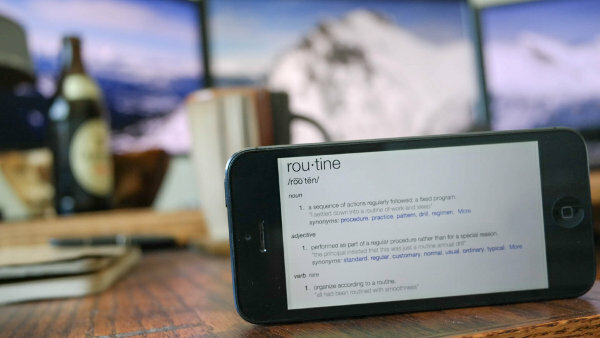 Once you have a routine down, you’ll not only be more productive in your life because you have a schedule, you can actually be more efficient at doing them. Ever finished a project or got in the mood to do something and thought to yourself, “Self, what are we gonna do next?” If you have a routine, you already know what’s next. 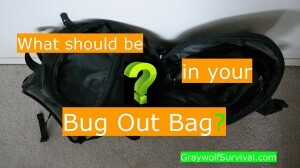 When’s the last time you actually pulled out, inventoried, and did a functions check on everything in your bug out bag? If you had a routine to do that every month, you’d look on your schedule (or hopefully get some kind of auto notification) and see that it’s time to do that again. Not only does having a schedule make sure that you have time set aside to do important things that don’t usually cross your mind, they can make sure you make the best of what would have been unplanned downtime. A routine will make sure that you have time to practice. With practice, you get faster at things. The reason we do things over and over again (aside from just keeping privates busy to keep them out of trouble) is because you start to develop muscle memory. Muscle memory isn’t really in your muscles, it’s in your mind. Just like you get faster at drawing a weapon correctly after doing it repeatedly, other things like jumping into your vehicle to bug out with everything you need gets faster. You start finding shortcuts that you didn’t think of, and you don’t have to think about each step because it becomes automatic. If you have others in your family, you know how important it is to work with each other’s schedule. If you all have a set schedule, it’s easier to figure out the most efficient order to do things and who would be best to do them. For example, if you get out of work an hour before the kids can be picked up from school, it may be a perfect time for running errands that need to be done outside the home, or if you have an internet connection, you might be able to sit in the parking lot and get some research or email done. Ever put off doing something that might take a few minutes or or so like programming the critical repeater channels in your ham radio and then when you finally get down to doing it, you get into it so much that you end up programming all the channels, finding local people in your area, and actually spend time getting to know them on the net? 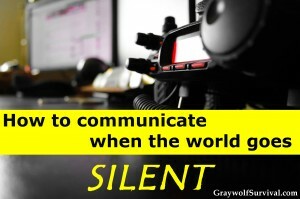 If you don’t have a ham radio license and you’re a prepper, just get down right now and start pushing. You’re missing out on one of the most important things you need to learn and do. BTW, you don’t have to learn Morse code anymore. For those who don’t have a ham radio license, have you ever finally gotten around to taking 5 minutes to wipe down the front of your fridge like you’ve been wanting to do and end up pulling everything out of the fridge and cleaning the whole thing out? It’s the same thing. Getting started is the hard part. Once you get started, a motivational momentum takes over. You may think that kids don’t like routines (because that’s what they say) but you (and they) are actually wrong. Kids actually respond well to structure. For one, a routine can help them have less stress in their life because they know what’s coming next. If you’ve ever had a hard time with kids traveling, you may have eventually figured out that sitting them down and telling them everything that you’re going to be doing will help. Things aren’t as strange if they’re expecting something. For another, having a routine such as regularly scheduled (but surprise) fire drills will make things much less stressful if they ever have to get out of a burning house. They know what to do because they’ve done it a bunch. For a third, developing and following a routine gives them self-discipline and helps them develop a habit of being prepared. Also, you’ll usually find that kids fight less about things that are regularly-scheduled. Telling them to go to bed when it’s time is one thing but if they have an expectation of a certain bedtime, there is usually a bit less struggle, at least once they get into the habit. It’s not perfect but it’s better than just announcing out of the blue that they need to stop having fun and go lay down. Life can be stressful at times. Having a set schedule that you developed gives you some control over your life. At least as important – your mind feels like it has more control over things that you can’t control. If you’re in a long-term survival situation, or even a full-on no-government, WROL (Without Rule Of Law), or TEOTWAWKI (The End Of The World As We Know It) situation, you’re under a lot of stress. You may be in a situation where you don’t have food or water or even worse: you may be held against your will. There aren’t a lot of studies that have been done regarding the psychological effects of dealing with the apocalypse but there are some everyday situations (for some people) from which we can draw conclusions, such as being incarcerated. I give mental consent to the routine: I’m not drifting, I’m choosing. You may not be locked up in a prison at any point, but if martial law breaks out or society breaks down and you’re forced to bug in for an extended period, it may feel like it. How would you deal with things if you were actually captured? This isn’t out of the realm of possibilities, even if society doesn’t collapse. People are kidnapped around the world every day. If you ever travel to Mexico, Central America, or Africa (and many other places), your chance of being kidnapped increases a lot. Maintaining a daily routine is an eighth coping strategy that is essential for survival. Establishing a routine is one of the best, and simplest, things a hostage can do to restore psychological order in their world. I fact, the more crazy your life is now or ever gets, the better a fixed routine will help you. 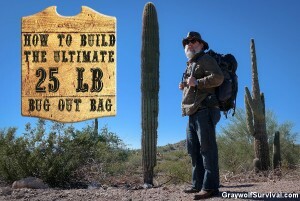 Like Les Stroud mentions in several episodes of his show Survivorman (best survival show there is so far, btw), in a survival situation such as being stuck out in the middle of the nowhere after a plane wreck or getting lost hiking, developing a daily routine will not only help you remember to do things you need like checking traps, improving your living conditions, and looking for water, it’ll help you deal with the psychological stress of being lost and waiting for rescue. Your day is most likely filled with a lot of things that you need to do, and not enough time to get them done. Being a prepper is even worse because when other people are watching Honey Boo Boo, you’re inventorying your food stocks or reloading ammo. By structuring a routine now, you can make sure you can be ready in case of emergency or if SHTF. If you want a place to start, check out 43 Folders. They’re not specifically a prepper thing by any means but you can absolutely use them to schedule all your prepping activities as well as everything else in your life. They use a system called Getting Things Done (GTD). If you don’t want to learn it online (or just want even more info) just go directly to the source and read Getting Things Done: The Art of Stress-Free Productivity . To coordinate my schedule, I use Calendar 5 by Readdle and Google Calendar. Calendar 5 is great because when you want to schedule something, you just tell it, “Check Graywolf Survival every day from 7p to 8p” and it figures out what you mean and schedules it. I rarely have to correct what it schedules but it does happen. BTW, you should schedule that now. Having a set routine now will not only help you be prepared in case something happens, it will reduce the stress in your life. Having a routine when something actually does happen, will help you stay alive and sane at the same time. So what have you found is the best way to structure your life and develop a routine to get things done? 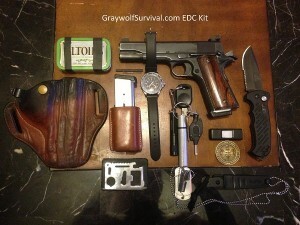 What kind of routines do you think would be important to develop in a survival situation or if SHTF?